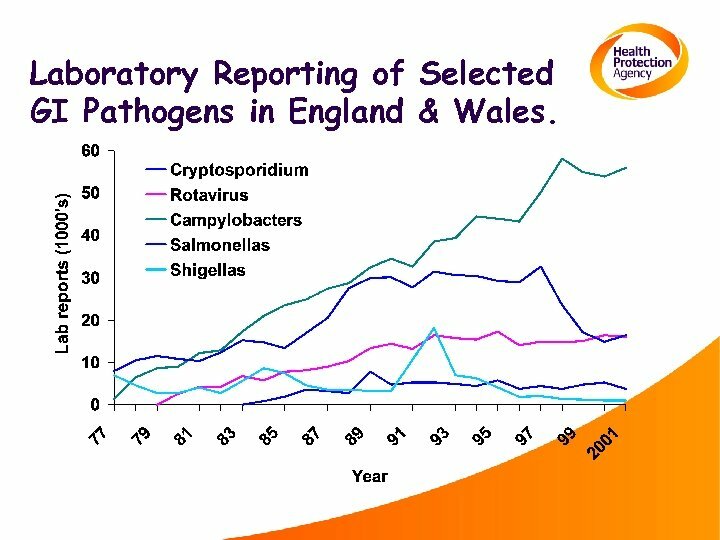 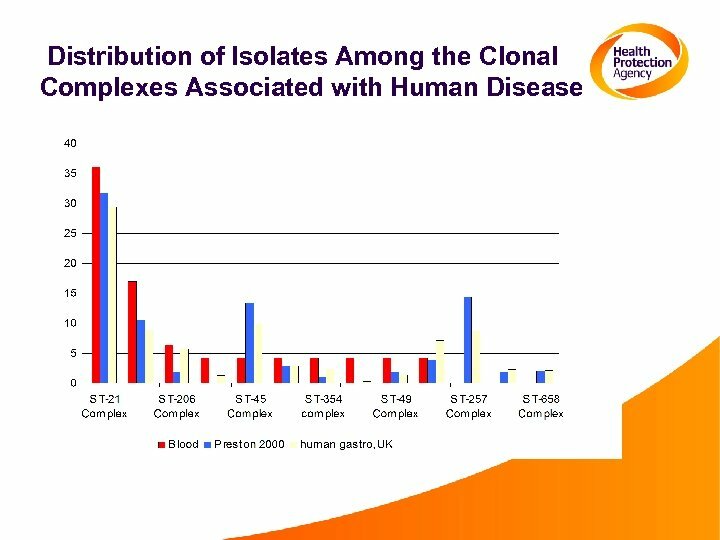 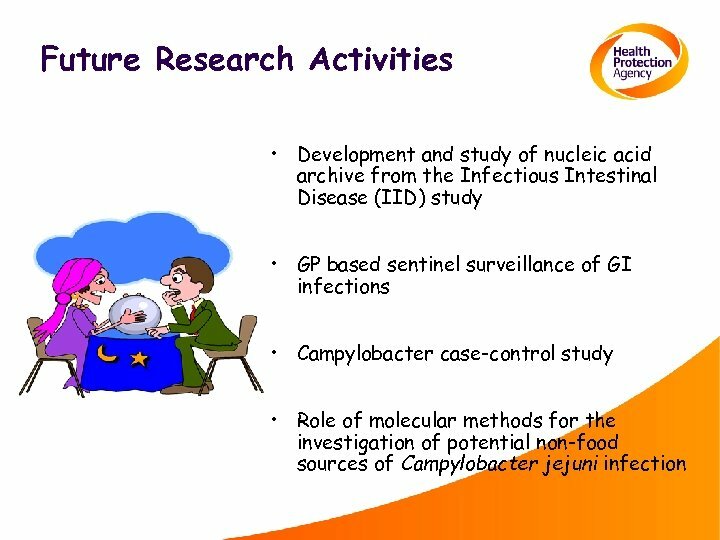 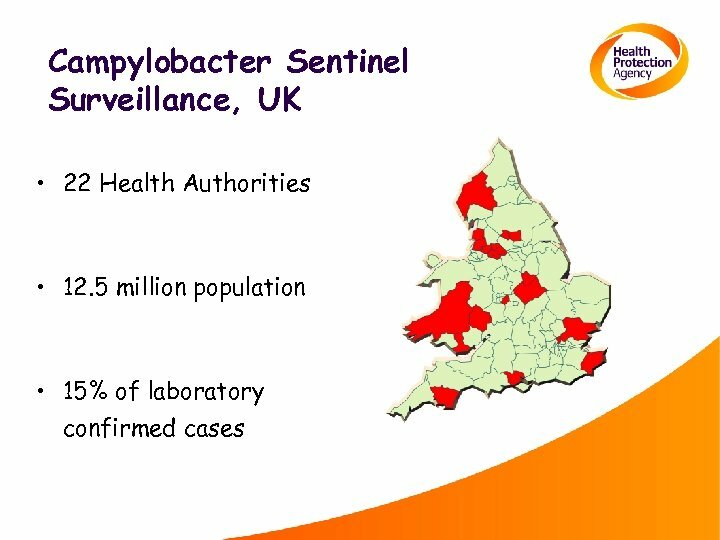 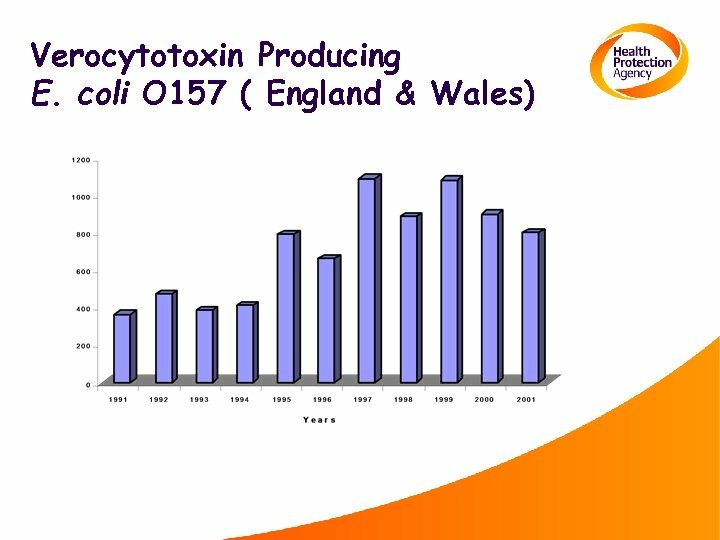 Laboratory Reporting of Selected GI Pathogens in England & Wales. 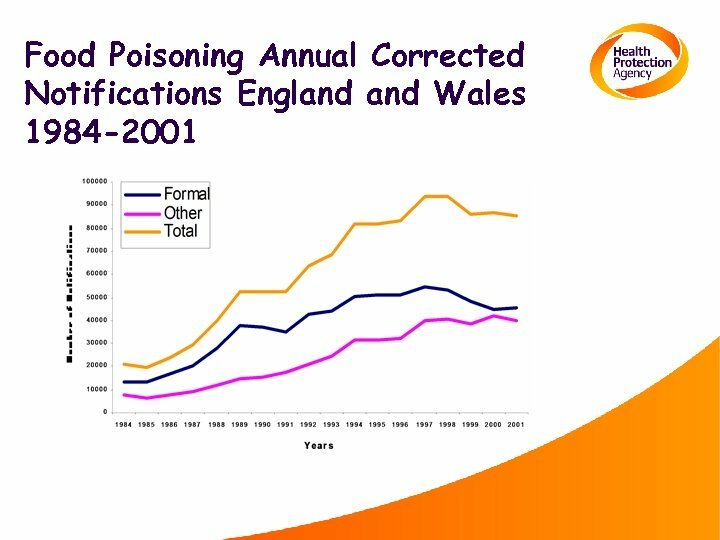 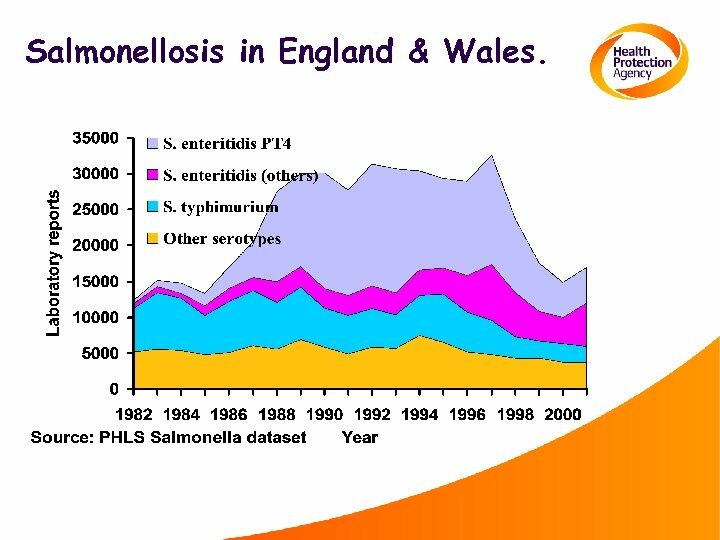 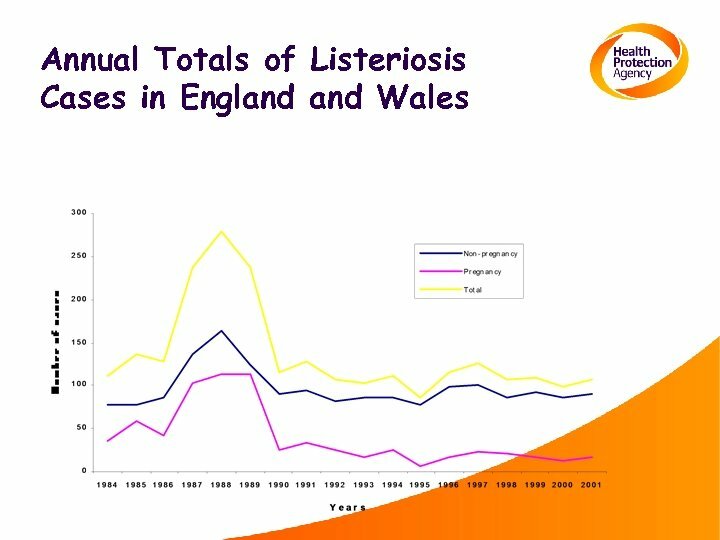 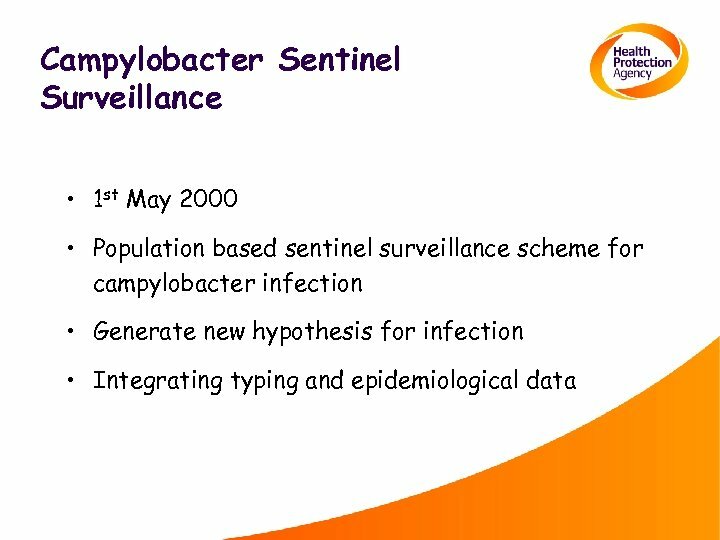 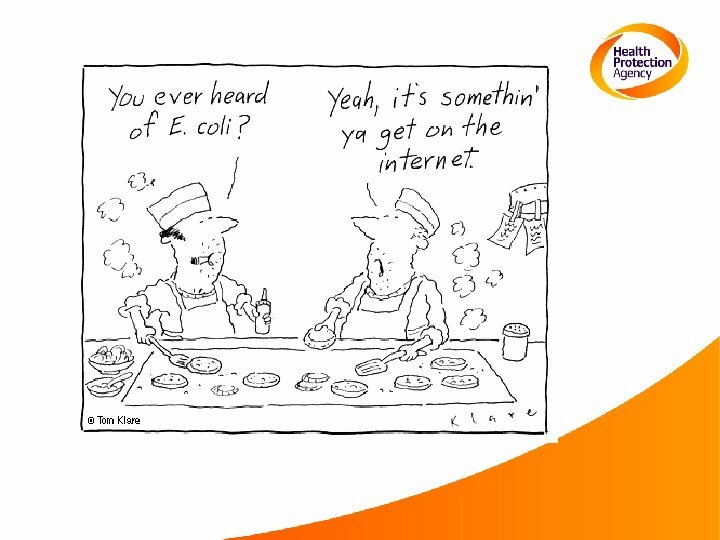 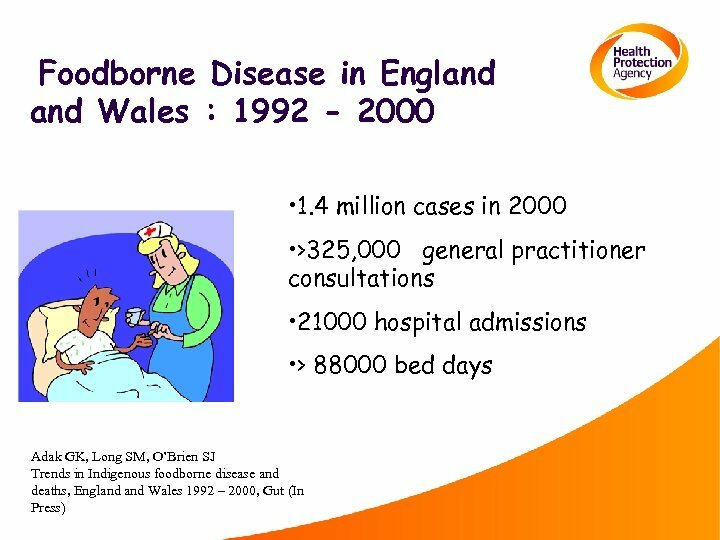 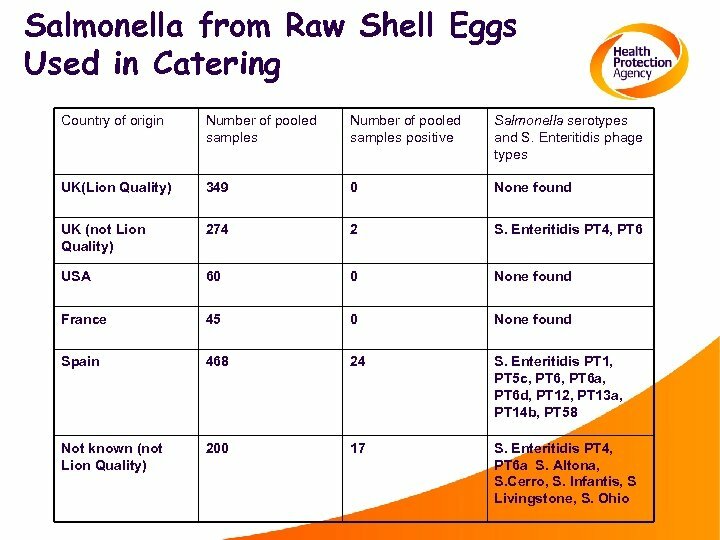 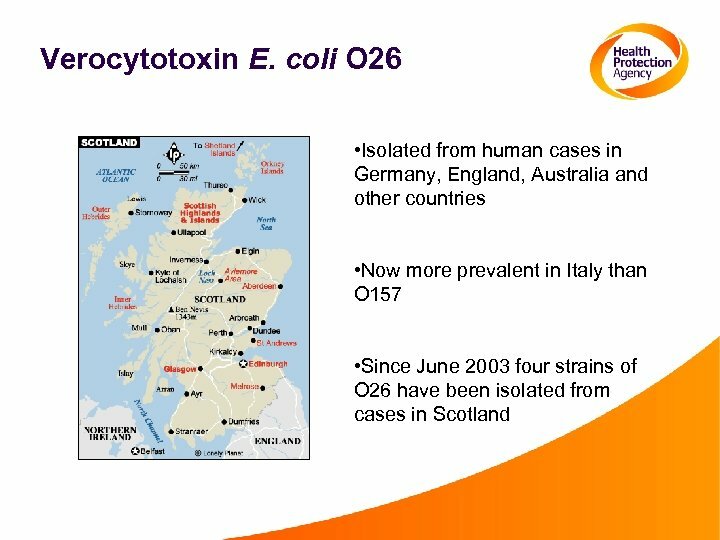 Salmonellosis in England & Wales. 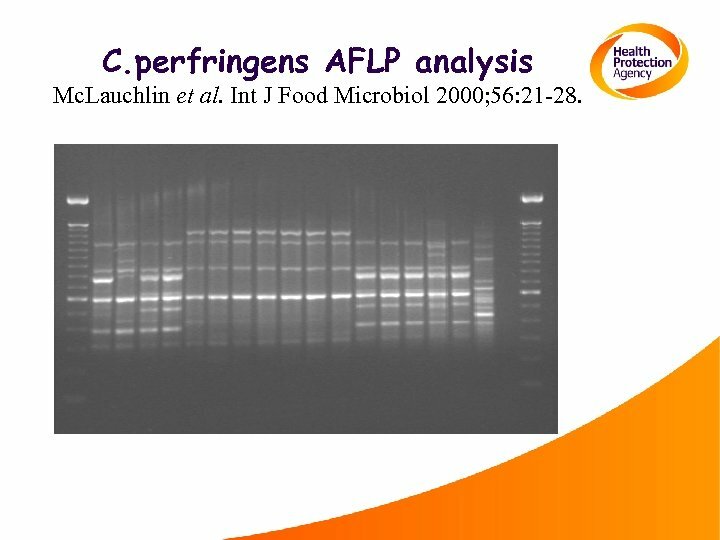 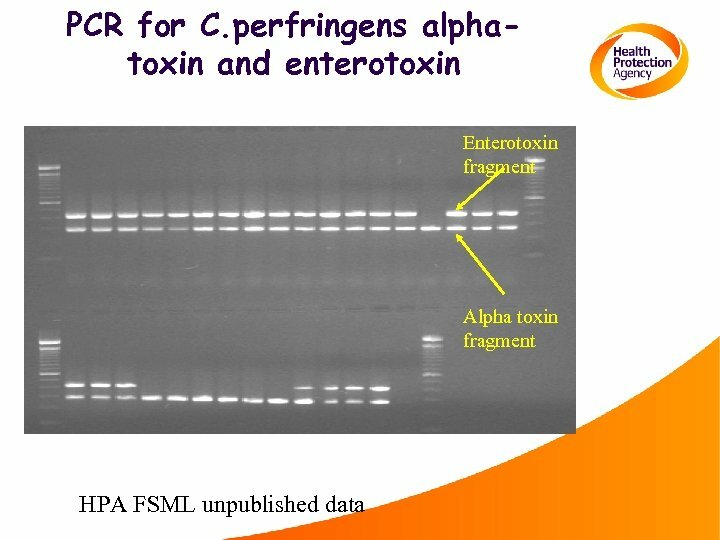 C. perfringens AFLP analysis Mc. 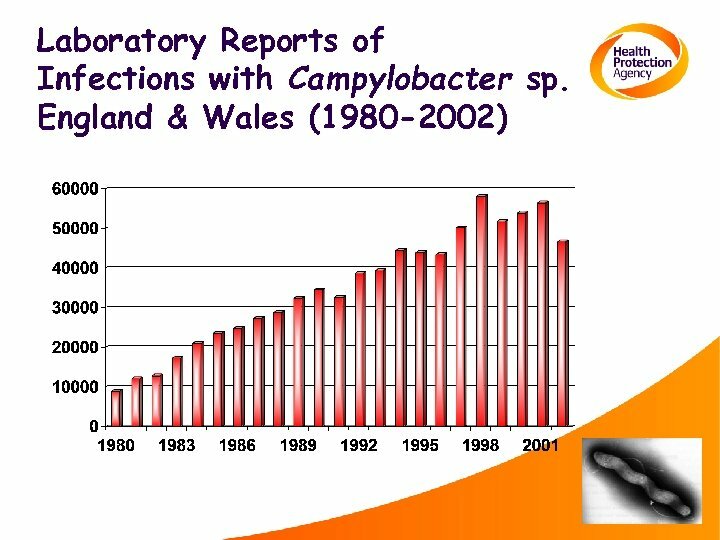 Lauchlin et al. 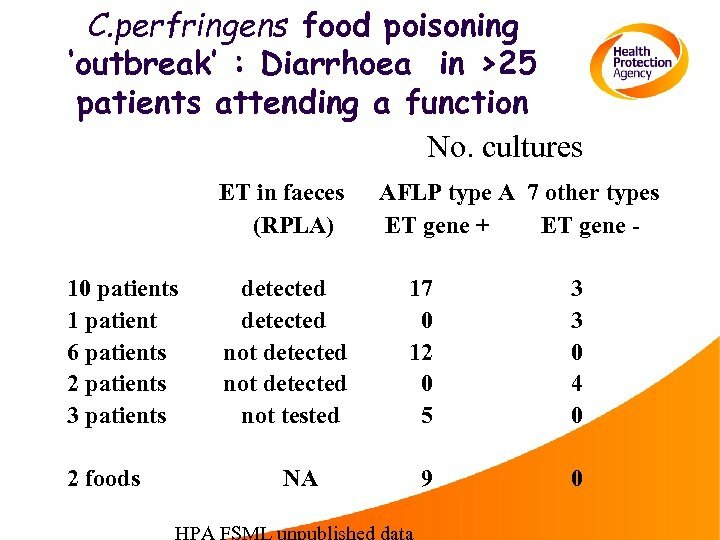 Int J Food Microbiol 2000; 56: 21 -28. 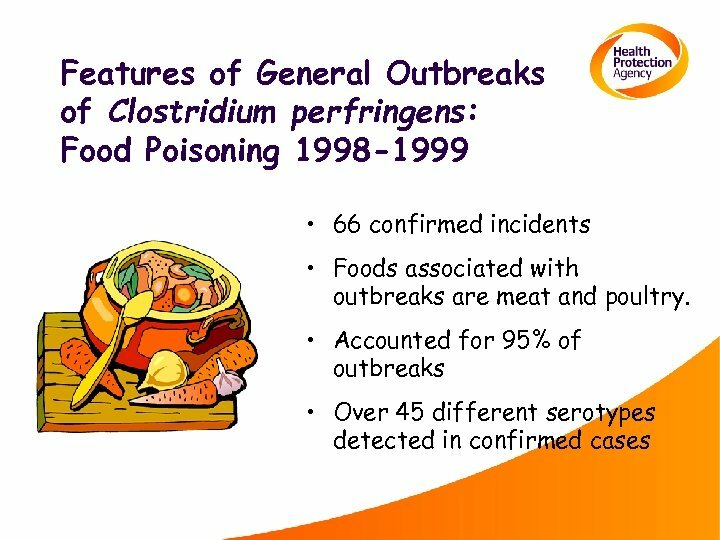 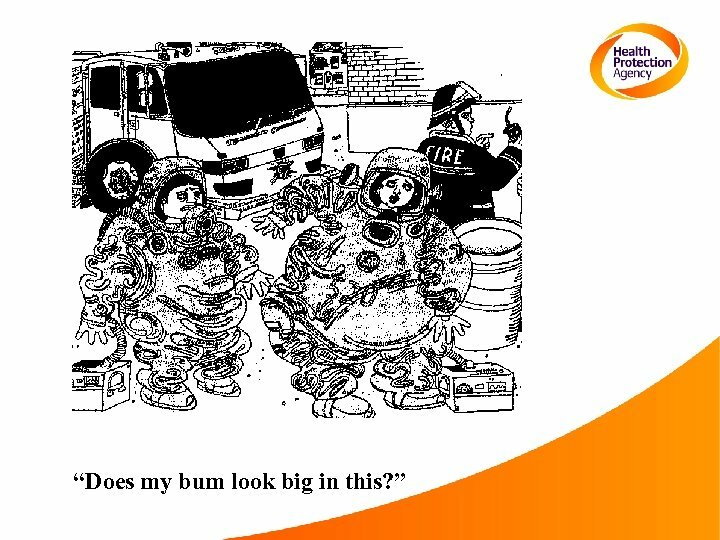 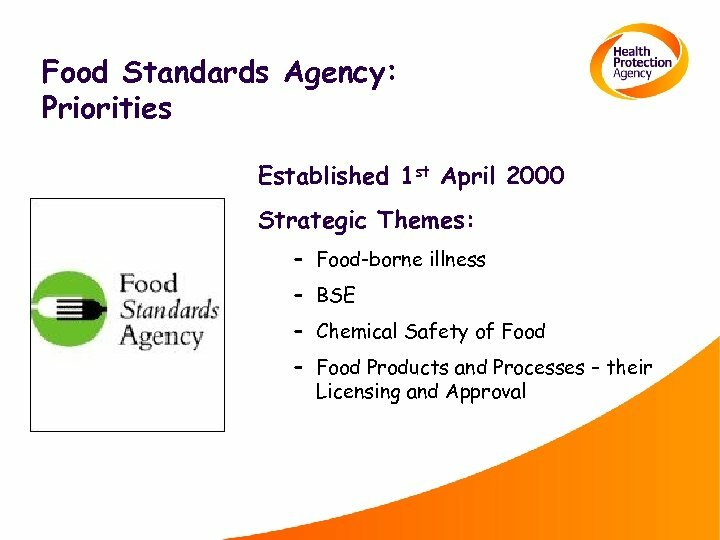 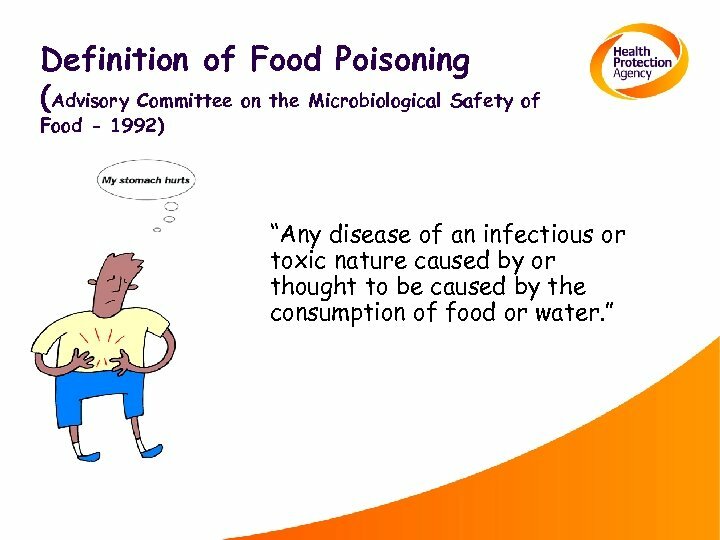 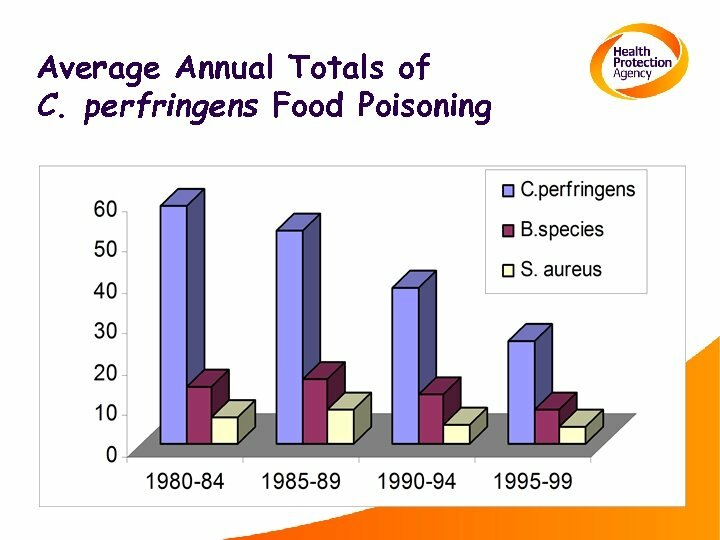 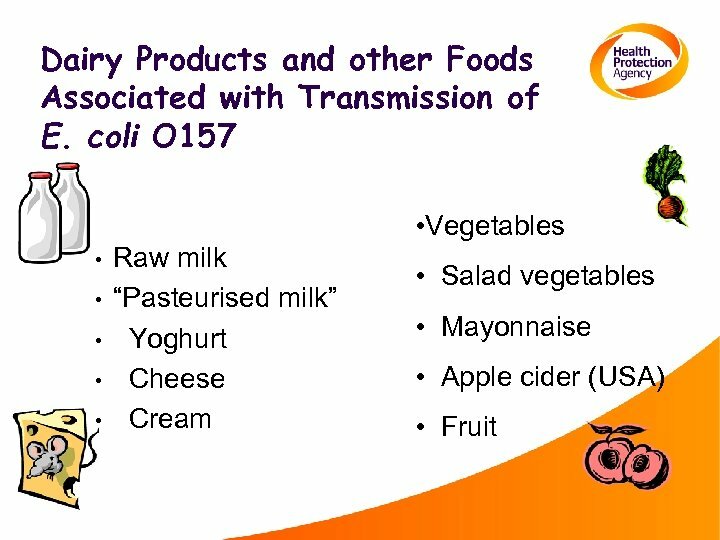 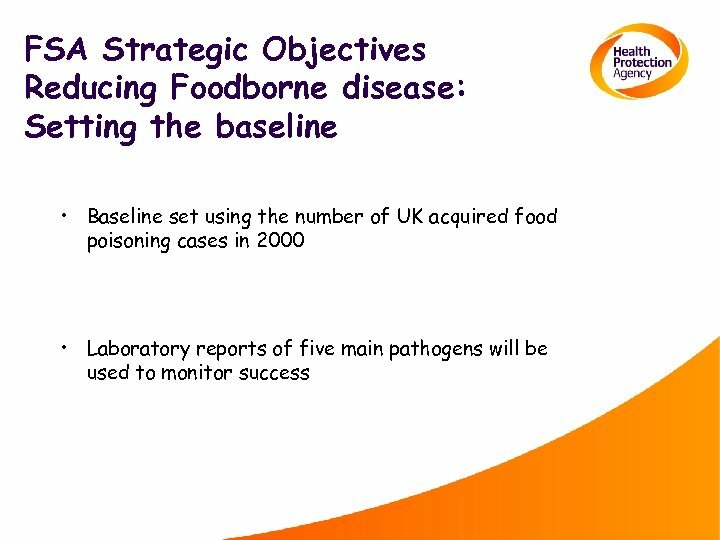 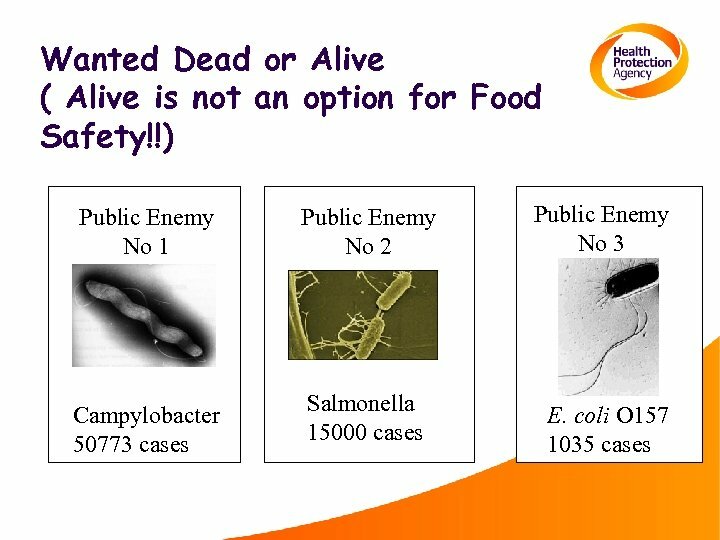 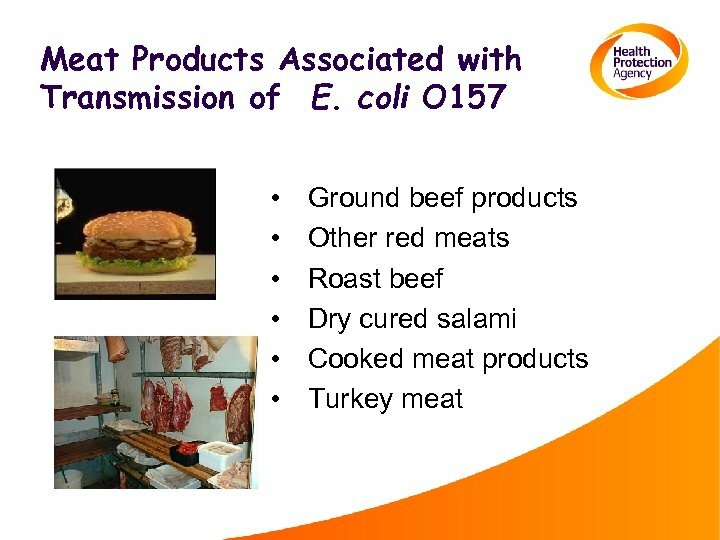 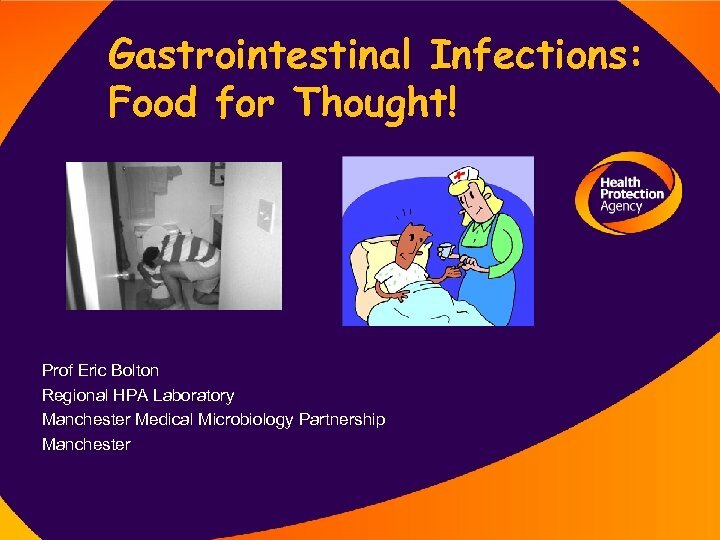 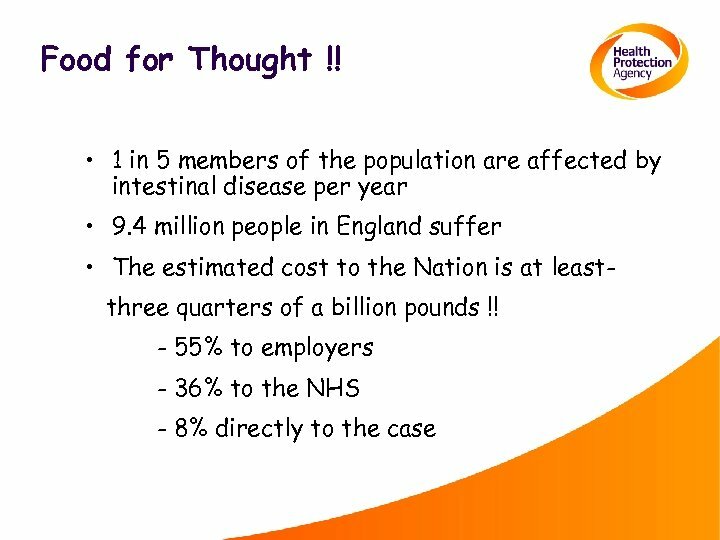 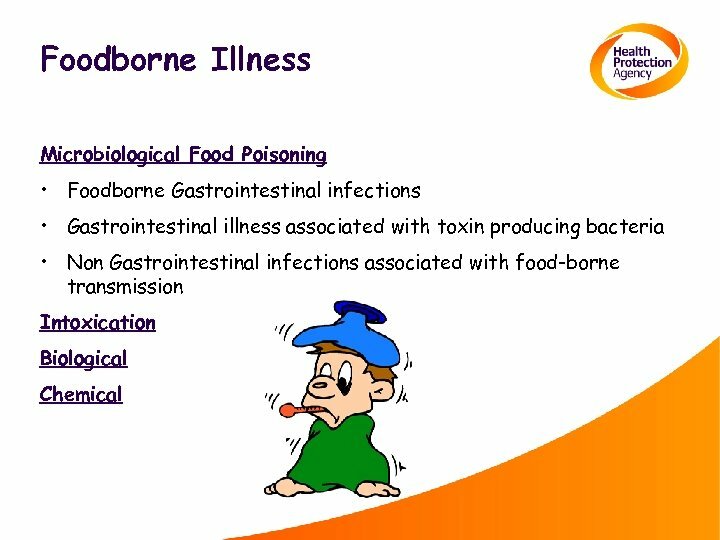 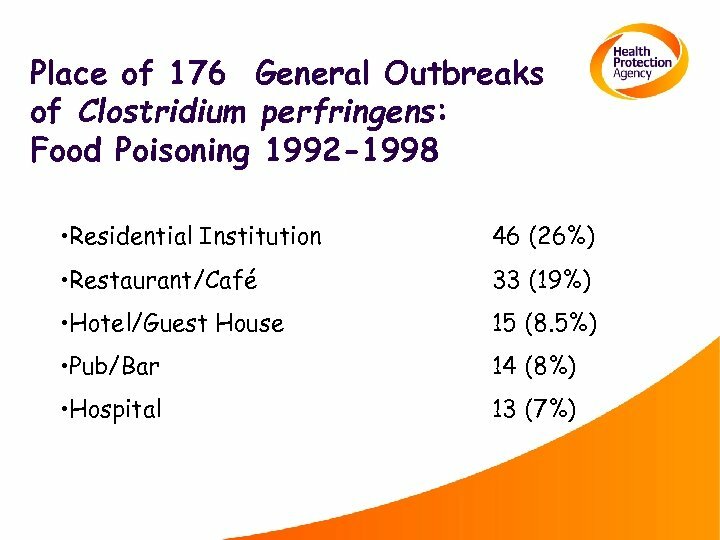 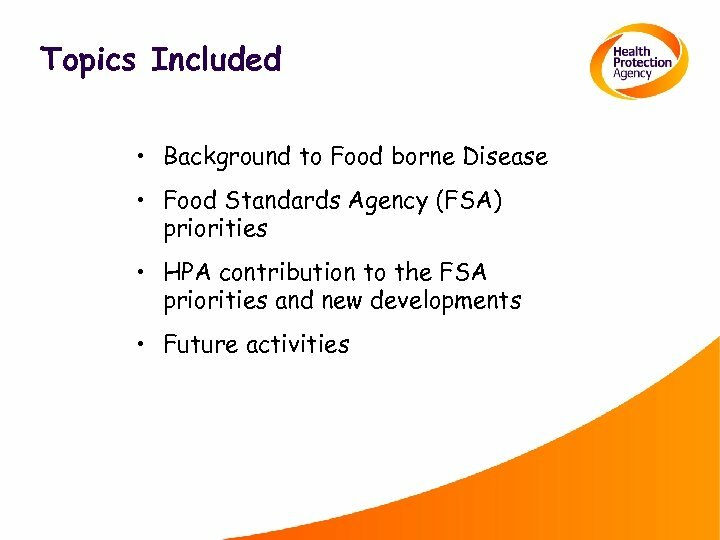 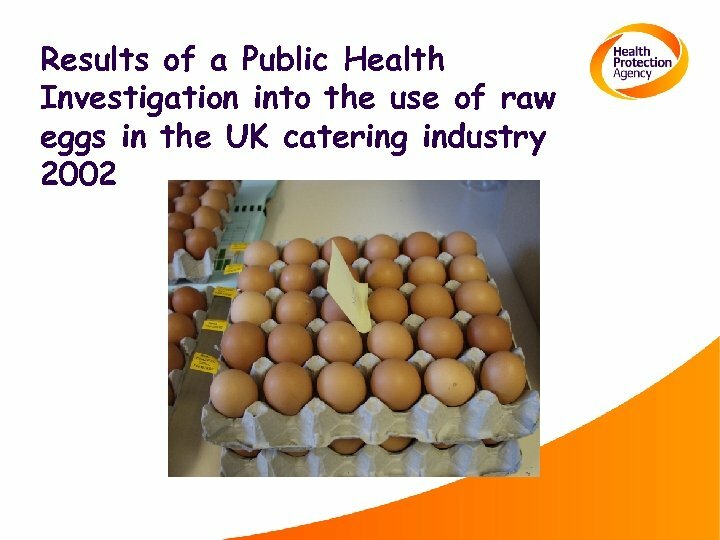 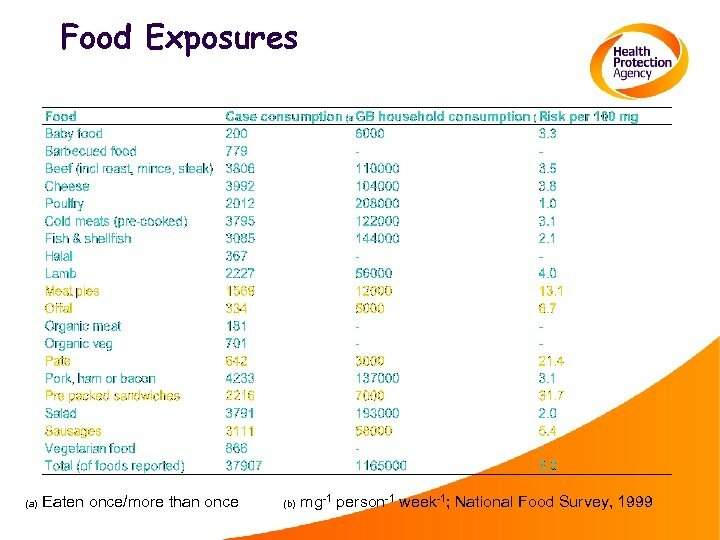 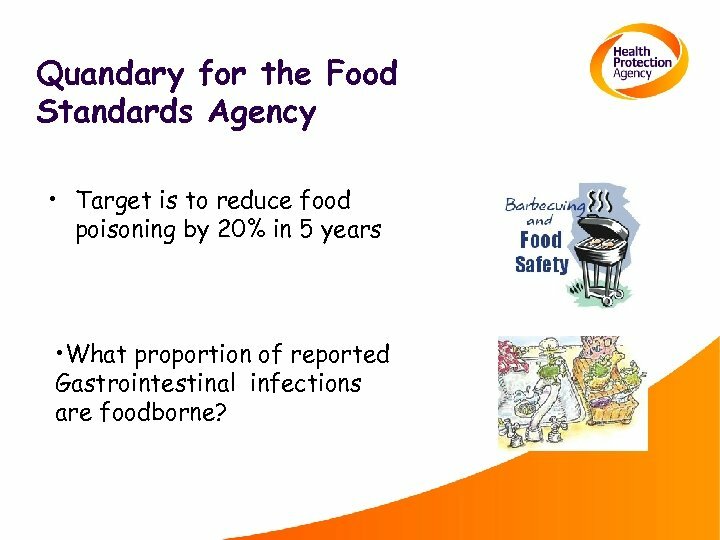 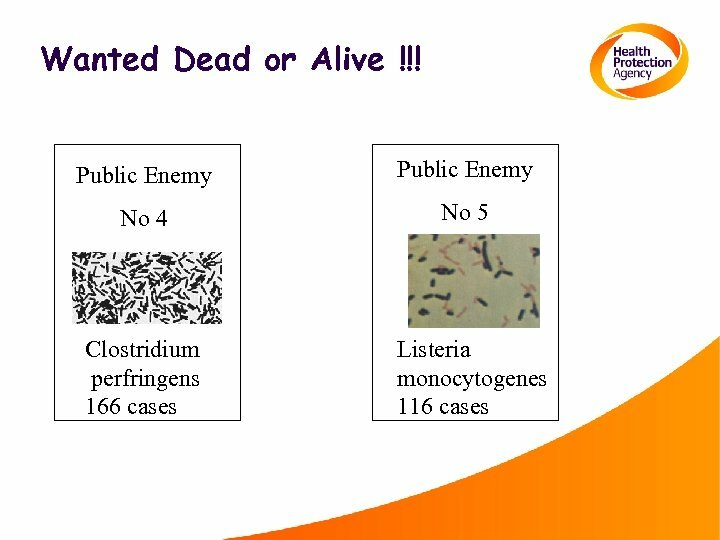 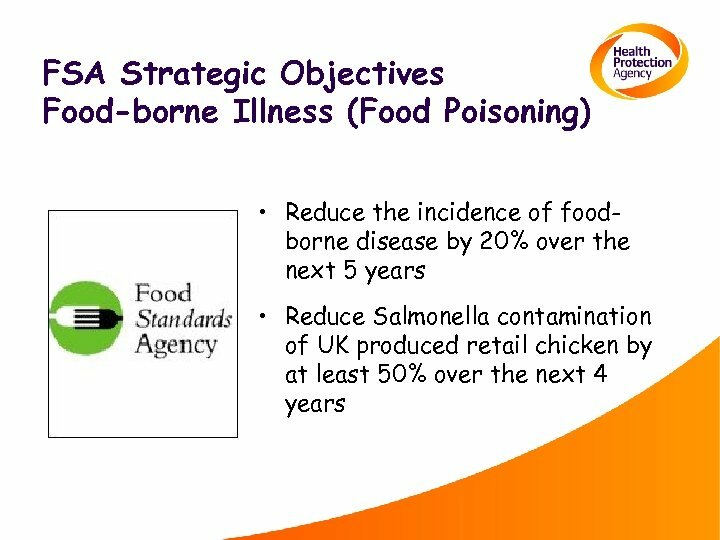 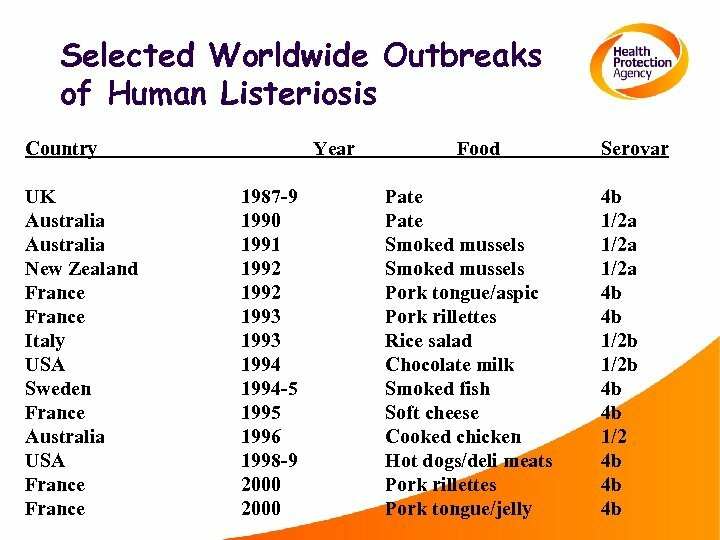 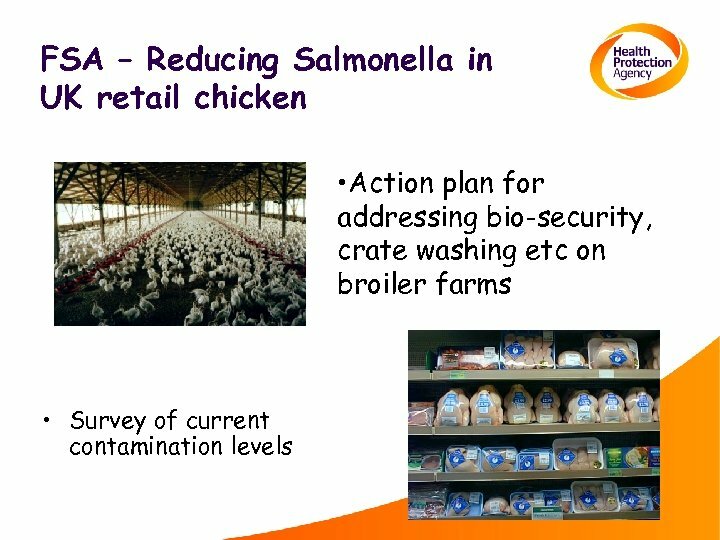 Quandary for the Food Standards Agency • Target is to reduce food poisoning by 20% in 5 years • What proportion of reported Gastrointestinal infections are foodborne?